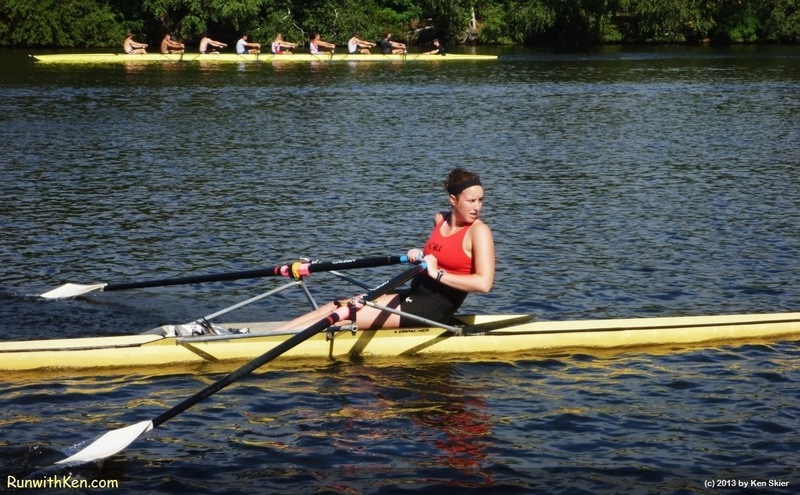 Rower on the Charles River. At the Boston Barefoot Running Festival 5K. When you run along the Charles River in Boston and Cambridge, you always see rowers out on the water. A beautiful sight to see! I photographed this rower as I ran in the Boston Barefoot Running Festival 5K a month ago. I was running upriver. She was rowing downriver. from all over the world, competing in the Head of the Charles Regatta!